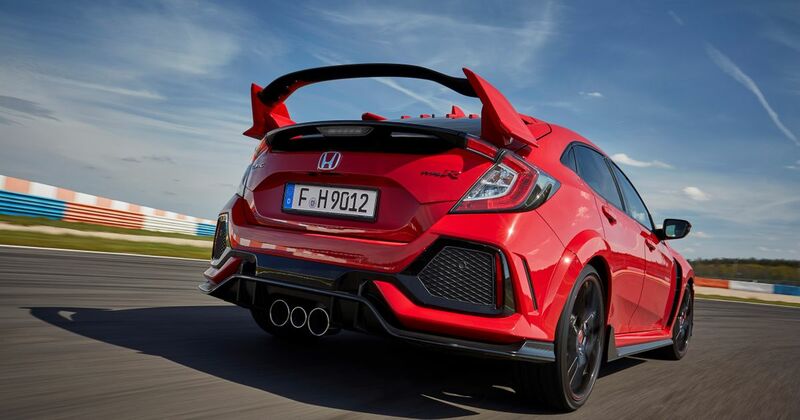 Despite Honda revealing the new Civic Type R way back in March of this year, performance stats have eluded us. Until now. As the media launch for the car kicks off, Honda has announced that the new Civic Type R will do 0-62mph in 5.7 seconds. Which is, err, identical to the old car. This isn’t particularly surprising: the 316bhp (at 6500rpm) output of the new car represents only a 10bhp increase over the outgoing machine, and while we still don’t know how heavy it is, the kerbweight is thought to be around the same as the old car. At the top end it is ever so slightly faster, with an official top speed of 169mph, up from 167. 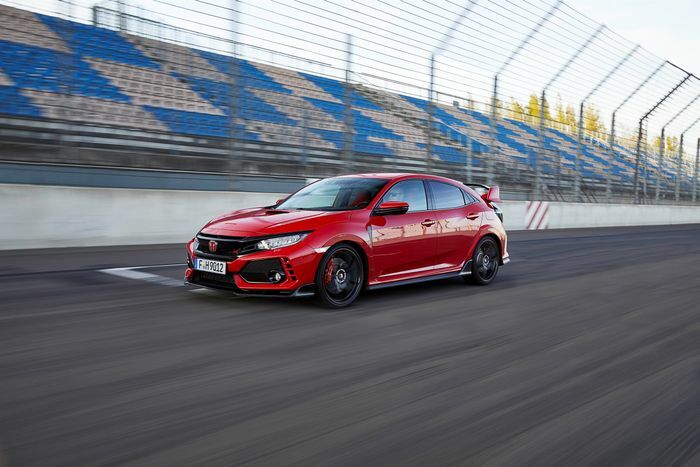 Honda claims this makes the Type R “both the fastest-accelerating and quickest car in its class,” presumably deciding that all of its four-wheel drive competitors are for some reason in a different class. Oh, and it’ll also do 36.7mpg on the combined cycle, and puff out 176g/km of CO2. While the weight figure still hasn’t been revealed, we do know that it’s distributed differently. 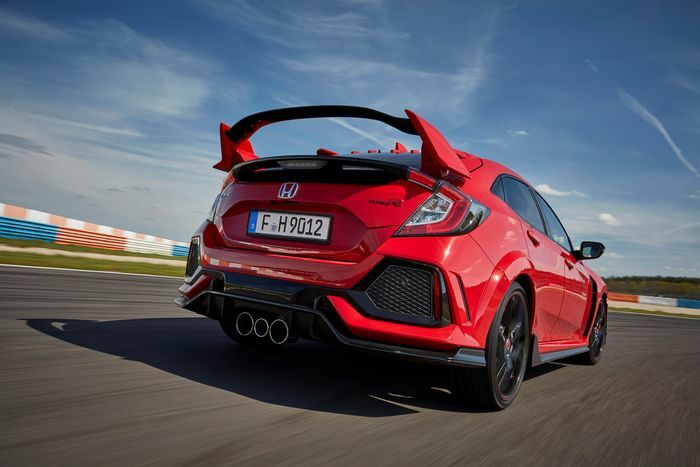 Honda has relocated various components “including the fuel tank” over the length of the car, giving a three per cent weight reduction over the front wheels. We already knew about the Type R’s fully-independent, multi-link rear suspension setup lifted from the standard Civic hatch - arguably its most significant change over the previous car - but Honda has now revealed that the 2018 car gets a revised set of adaptive dampers. The shocks now have a three chamber design, and are linked to a trio of G-sensors dotted around the car. The new Type R is also fitted with ‘Agile Handling Assist’, which lightly brakes the inside wheels during hard cornering. If you want, it can be turned off. On the aero front, the Type R still produces negative lift, despite a three per cent reduction in drag coefficient compared to its predecessor. The thinner rear wing is 700g lighter than before, and is complimented by a vortex generator that optimises the airflow. We’ll be taking our first drive of the new Type R this week. Stay tuned for our full verdict!